Why wear real clothes when you can wear a bikini, am I right? ...and you won't have to pay a penny to return any of the items. They also offer a ton of ~fuller bust~ options for breast friends who need a little extra support, as well as well as a whole bunch of mix-and-match options. For example, love the lime green color but hate the high-waisted cut? No problem! That same bottoms comes in a string and bikini option. Shipping: Free shipping on orders over $40. Get the first bikini top here and the second bikini top here. 2. Swimsuits For All will make you want to book a Tahitian vacation RIGHT THIS SECOND, thanks to their go-to basic pieces and bold prints alike. "Dear boss, I'm going on vacation to Tahiti next week. I just bought a fantastic new bikini from Swimsuits For All, and it needs to go to Tahiti." Shipping: $8.99 for standard shipping. Get the first bikini here and the second bikini here. 3. Check out AMI Clubwear if you're about to book a weekend in Miami. They have bright colors, bold prints, and fun styles, galore. Shipping: Free standard shipping on orders over $50 using code FREESHIP at checkout. Get the first bikini set here and the second bikini set here. 4. 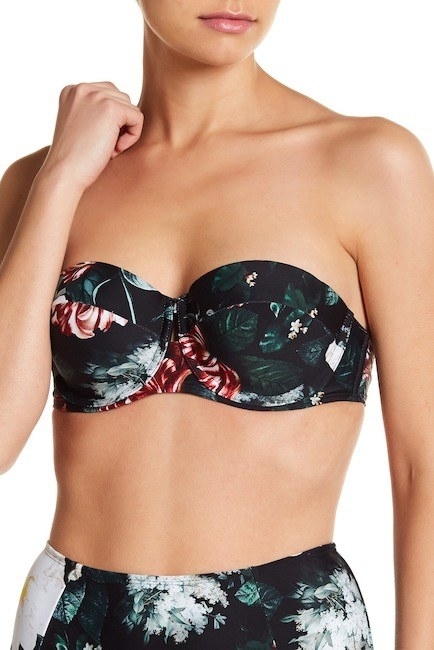 Forever21 is great if you love trendy swimwear, but don't want to shell out a ton of hard-earned $$$ on it. You haven't won the lottery quite yet, you know? Shipping: $5 for standard shipping, and free shipping on orders of $50+. Get the first bikini top here and the second bikini bottoms here. 5. Head to Nordstrom Rack and be prepared to say "HOW DO I CHOOSE?" They carry everything from push-up bandeaus to triangle sets. Kate Spade and Juicy Couture. Get the first bikini top here and the second bikini set here. 6. Aerie lets you play matchmaker with their awesome variety of mix-and-match options. Want to pair a triangle top and hipster bottom? You 👏 do 👏 that 👏. Shipping: $7 for standard shipping, and free shipping on orders over $50. 7. Read reviews (aka my life savers) on Amazon to determine which bikini sets best suit your needs. Shipping: Shipping rates vary depending on your order and address. Free two-day shipping is available on certain products for Prime members. And here are a few more bikinis you can get on Amazon! 8. H&M stocks an affordable mix of balconette tops, cheeky bottoms, and everything else you've saved to your "summer style" Pinterest board. Shipping: $5.99 for standard shipping, and free shipping on orders of $40+ with the code 0040. Get the bikini top here and the bikini bottoms here. I should also say that their one-pieces are equally as gorgeous. Shipping: $5.95 for standard shipping. 10. Tobi may make your wallet cry ugly tears of joy. Why? First time customers get — drumroll please — 50% off their first order. Already ordered from their site before? Don't panic. They're constantly running ridiculously great sales and promos. Shipping: $5 for standard shipping, and free shipping and returns on orders over $50. Get the first bikini bottom here and the second bikini top here. 11. Nordstrom has a filter that lets you shop by body type — athletic, hourglass, large bust, pear shape, small bust, and so on. This is so helpful when you're online shopping and can't see the bikinis IRL. 12. If you love retro, kitschy clothing, then ModCloth is your go-to destination for all I-need-a-new-bikini situations. Shipping: $5.99 for standard shipping, and free shipping on orders over $75. Shipping: $5.99 for standard shipping, and free shipping on orders over $50. Shipping: $5 for standard shipping. 15. American Apparel has your favorite basic tees and denim, but unfortunately, you can't go swimming in those. Solution? THEIR AWESOME SWIMWEAR. Shipping: $5 for standard shipping, and free shipping on orders over $50. 16. Different top and bottom size? NO WORRIES! AdoreMe lets you customize your set with two different sizes. Let's get a round of applause for AdoreMe, everybody. Many of the swim tops also come in cup sizes, meaning your bikini will fit your ~breast friends~ perfectly. Pricing: $24.95 for your first set when you join their VIP membership. 17. Koa Swimwear makes reversible bikinis. That's right, folks. TWO BIKINIS IN ONE. Like, you can bring ~one~ of these bikinis on a weekend trip and be all set. Psst! If you want free two day shipping, Koa bikinis are also sold at Revolve. Shipping: $6 for standard shipping, and free shipping on orders over $150. Get this bikini set here. 18. Solid & Striped designs beautiful suits — picture seersuckers, stripes, and vibrant colors — that you'll want to pose, snap, and 'gram with. You will post about 809 Instagrams wearing their bikinis. OH! And by the way, their swimsuits are also sold at Nordstrom and Revolve! The suit on the left is from the Kendall + Kylie swim collection, for example. Shipping: $8.99 for standard shipping, and free shipping on orders of $89+ with the code SHIP89. 20. The light of my life, AKA Target, shouldn't just be praised for its amazing dollar section. Their swimwear is FANTASTIC, too. Prefer bikini tops with support and lining? No worries! 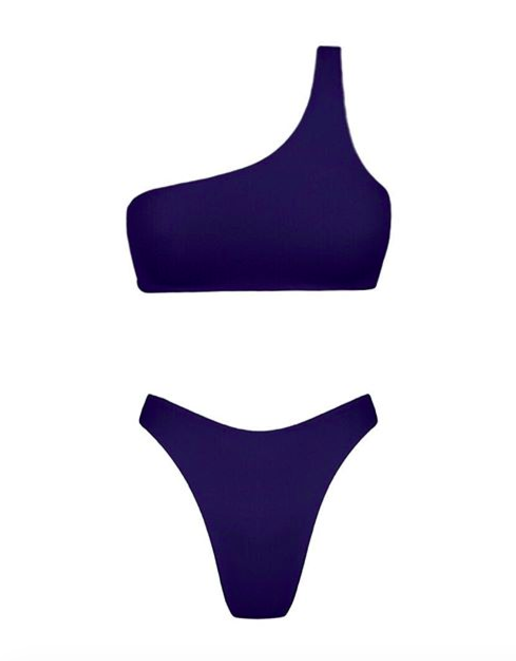 They've added a filter that lets you refine your shopping results to swimwear with underwire. Shipping: Free shipping on orders of $35+ or by using your Target card. 21. Barcelona-based Mango brings a touch of Spain to your beach vacation with their newly-released swimwear collection. Polka dots? Check. Florals? Check. Stripes? Check. Do I need them all? Check. 23. Australian-based, splurge-worthy AEXAE lets you stick to your favorite color schemes with their white, red, navy, black, and latte bikini separates. Shipping: $12.56 for standard shipping. 24. Free People designs some seriously beachin' swimwear. Bold colors? Check. Fun prints? Check. Will you want them all? Check check check. Shipping: $7.95 for standard shipping, and free shipping on orders over $100. 25. 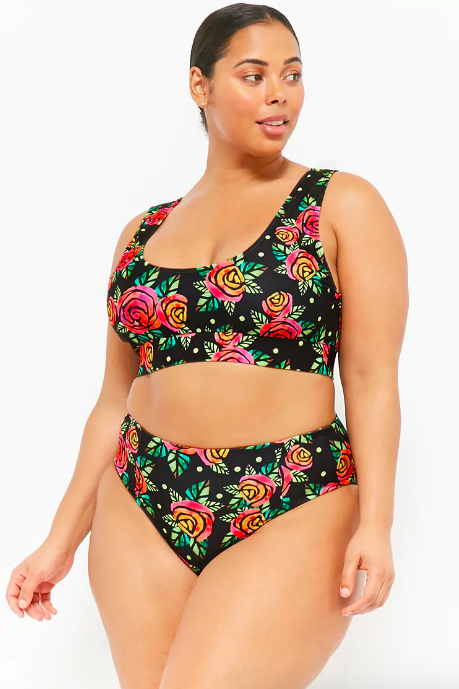 Torrid specializes in swimwear sizes 10-30, carrying everything from tie-dye lattice sets to celestial-inspired underwire tops. They're constantly running sales and promos, by the way! Their stuff is almost always at least 25% off. Be still my heart. Shipping: $6 for standard shipping.